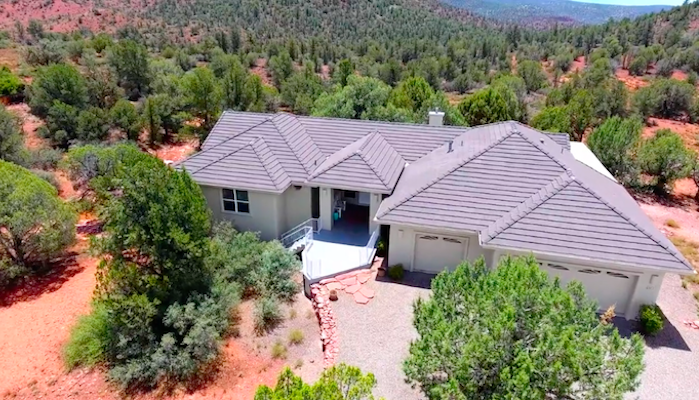 For pavement lovers, running in Sedona doesn’t get any better than jogging through West Sedona’s residential neighborhoods. On these side streets, you can piece together a fun exploratory route that passes homey ranches, fascinating modern architecture, and elegant gated communities. There aren’t many sidewalks or long roads in this section of town, but traffic is light and limited mostly to local residents. Just keep your head up and bring plenty of water — the black top gets pretty hot on a sunny day. Still, the views from these rolling hills looking across the desert will make you wish you lived here. A good route for a 4 mile run is Dry Creek Road to Thunder Mountain Road, which turns into Sanborn Drive. Use Mule Deer Road and Hozoni Drive to circle back towards Thunder Mountain. You can park at one of the public businesses off Arizona Route 89A (the public library is a good option). Other Option: Head north on Dry Creek Road, and turn around at the vista off Boynton Pass Road (4.4 miles one-way). It’s fairly hilly and offers access to numerous trailheads.